If we can get us publicity, we can do it for you! 100% of our press releases were used in 2016. Sally Anderson-Wai, owner of WRITE WAI PR & COPYWRITING SERVICES, featured in the Mail on Sunday Newspaper. 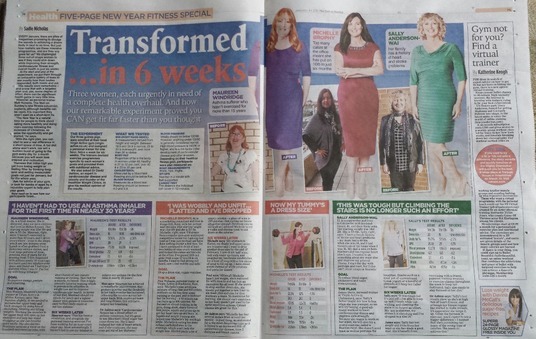 She said: 'I was one of three women who were invited to try to get fit and drop a dress size, with the help of a personal trainer. Sally has continued to pursue a healthier lifestyle and recently made history as part of Colchester RFU's first ladies touch rugby team, Bouddicca Belles. Their first match victory was publicised in the Gazette, Colchester, Essex. WRITE WAI regularly gets publicity for businesses, charities and ministries by writing and sending out press releases and by creating effective content for various social media platforms. 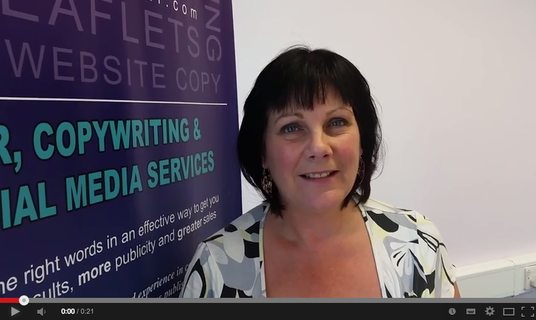 You can also read our blog for useful tips about writing and PR. WRITE WAI PR & COPYWRITING SERVICES's has been running an annual writing competition for the last four years with various partners around Colchester and Essex. Over time our competition has grown and it now attracts sponsorship, so the prizes have got bigger and bigger. Colchester's MP Will Quince presented the prizes to the talented winners of our 2015 competition, which attracted numerous entries from school around Essex and Suffolk. 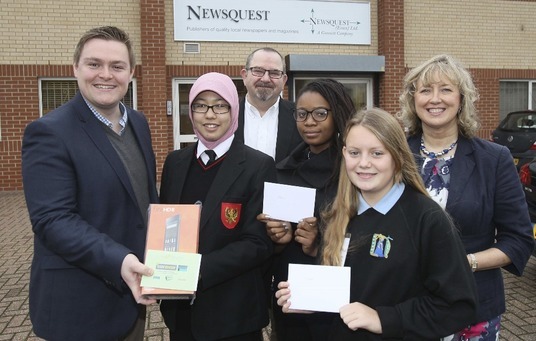 The first prize winner was Layyina Tamanni, 15, (pictured right, next to Will Quince) who received a Kindle Fire and £50 of Amazon vouchers for her school, The Gilberd, Colchester, Essex. Second place went to Chloe Gregory, 13, of St Helena's School, Colchester, who won £50 of Amazon vouchers and third was Olivia Etim, 16, of Colchester County High School, who was presented with £25 in Amazon voucher. Their prize winning entries were published in The Gazette, Colchester, Essex, and we were all given a tour the paper's offices on Severalls Business Park, Colchester. 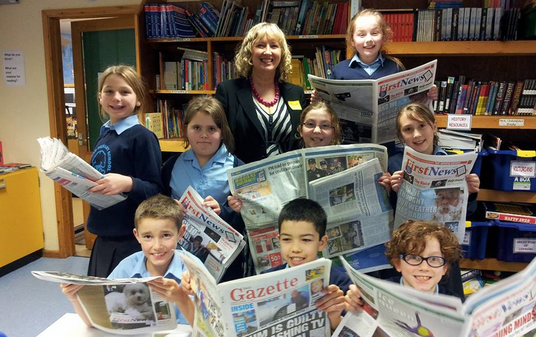 We are delighted that The Gazette has agreed to sponsor the Journalism Competition again this year. Check the blog section of our website for details. We celebrated our second year in business, by being presented with a fantastic award. We were absolutely delighted to be named Colbea BIG's Best Client. We couldn't have done it without the support of all of our clients, family, friends, business coach David Betts and network contacts. We would like to thank you all. Who would have thought when we started up in late 2013 that WRITE WAI PR & Copywriting would win trophies, be training people, be presenting workshops, be accepting speaking engagements in Colchester, Essex and across the South, and that we would have an excellent reputation among businesses and ministries, who use WRITE WAI's services for their PR, Email-Marketing, copywriting and social media management. Get in touch if you would like to book one of our services, have one to one tuition, attend one of our workshops or invite WRITE WAI to speak or write for you! WRITE WAI and Sally Anderson-Wai featured on Radio Essex during a programme to mark Small Business Saturday. You can listen to it on YouTube. It gave us chance to publicise our services which include: Press Releases, blogs, social media management, email marketing and training workshops and much more! Our clients value our services. You just have to read our testimonial page or watch the video above. Karen Thompson, of Healthier Soles, gave us a review after attending one of WRITE WAI PR and COPYWRITING SERVICES' workshops. If you would us to train you at your office or you would like to attend a workshop about press releases, creative content, social media or blogging, send a message via the 'Contact us' section above. WRITE WAI's Sally Anderson-Wai has won another award. She received a Star Award for helping to raise funds for a borehole in a Kenyan village. We were also finalists in the UK Trust Awards in two categories. Sally was named one of the top 10 Most Trusted UK Business Leaders and WRITE WAI was named one of the top 10 Most Trusted Media Companies in the UK (click our blog button (left) for details). We also won a Colbea Business Award (see the middle column).